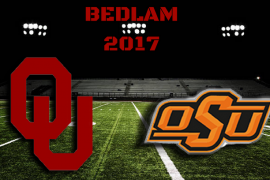 The Oklahoma Sooners defeated the Oklahoma State Cowboys last Saturday in the always anticipated Bedlam football game. The final score was 62-52, and the combined total of 114 points made it the most points scored in rivalry history. Bedlam lived up to its name. But what does it mean, and where does it come from? But how did it become associated with these two schools? It goes back to 1917. Back then, OSU was known as Oklahoma A&M, or Oklahoma Agricultural and Mechanical College. Oklahoma A&M changed its name to Oklahoma State in 1957. After a ten game losing streak, Oklahoma A&M finally beat OU 9-0 on November 29, 1917. The next day, The Oklahoman published an article describing the madness that occurred following the game. 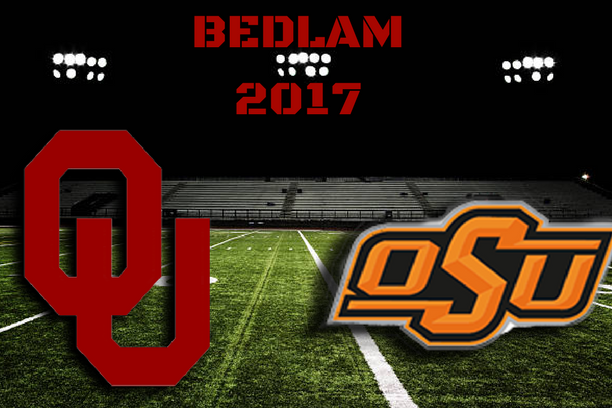 The name Bedlam has stuck with the rivalry game ever since. OU leads the series 87-18-7.